Every year, many new resorts open around Phuket. Now however, lots of new resorts are being built away from the famous beaches like Phatong, Kata or Karon because there is not enough land left to make resorts that would be attractive and appealing to visitors, as these areas are already built up with resorts and hotels. Many new resorts are now being built near the beaches on the eastern side of the Phuket which still has beautiful green landscapes, and some are being built in the hills, and have wonderful sea views. Because if you go to a resort close to the beach, you may be disappointed the beaches on the east coast don’t have the same selling points such as the beautiful sunsets and some places are muddy, and only look as beautiful at high tide. This resort is called Sukko Cultural Spa & Wellness Resort, and can be likened to a small village were you will feel warmly welcomed and looked after in the traditional Thai fashion. After entering the front gates, appreciate the traditional murals lining the walls on the way to the lobby where your party can check in. The spa villas access by traditional horse or cattle cart. 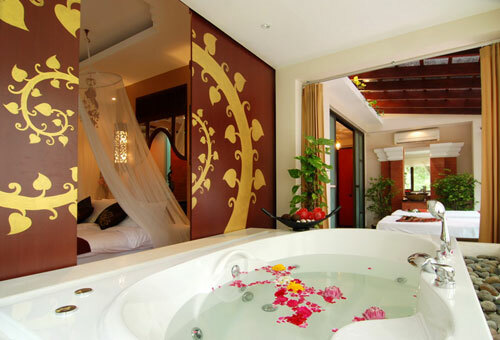 There is a steam room, massage bed and jacuzzi in the villa, providing a true Spa Resort experience. If you are someone who is fascinated by Thai culture and would like to experience authentic cultural activities, then you should look no further. 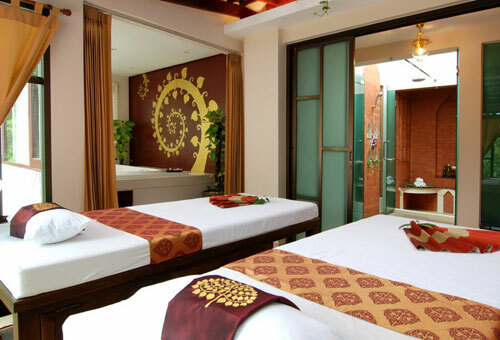 As a Five Star Spa, Sukko Spa offers the chance to learn things such as Thai herbology, Thai cooking and Thai vegetable and fruit carving. Also, we offer courses that will help improve your body and health such as Muay Thai Chaiya, Aqua Exercise and Ashtanga Yoga to help you thoroughly enjoy your relaxing holiday. On your next day off or holiday, if you feel the need for true relaxation, Sukko Cultural Spa & Wellness Resort maybe the answer you’re looking for. As well as finding the peace and relaxation you need, you can also absorb the beauty and tranquility of traditional Thai culture.